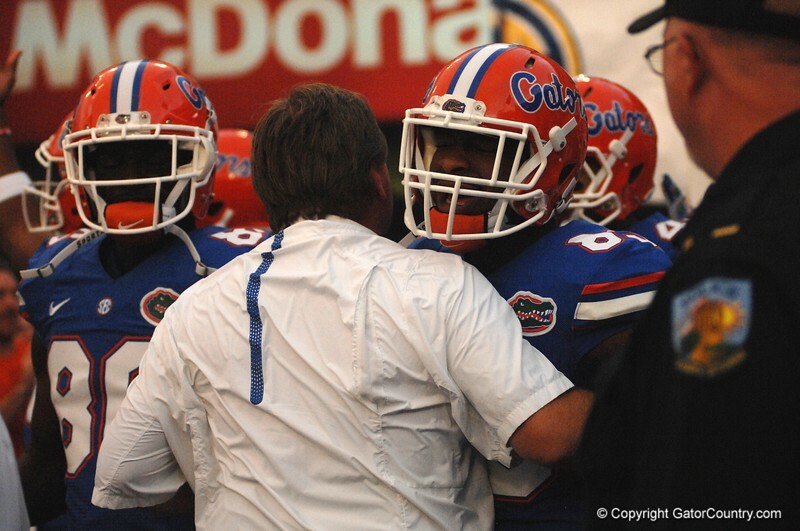 Florida Gators wide receiver Alvin Bailey gets crowd and head coach Jim McElwain pumped up before Florida Gators versus LSU Tigers. The #6 Tigers defeated the #8 Gators 35-28. October 17, 2015. GatorCountry photo by Kassidy Hill.